Apron Details: Durable nylon construction. Versatile front pocket. 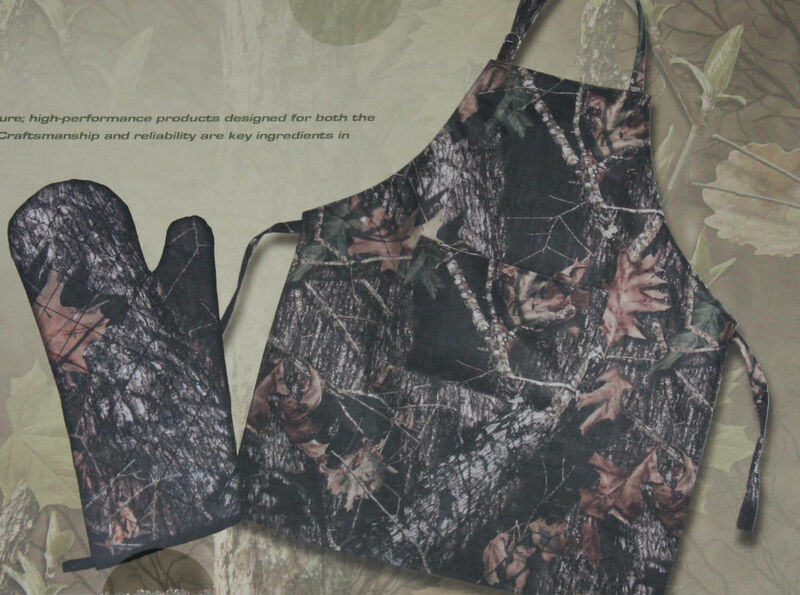 Edge-to-edge camo print. Full-size length. 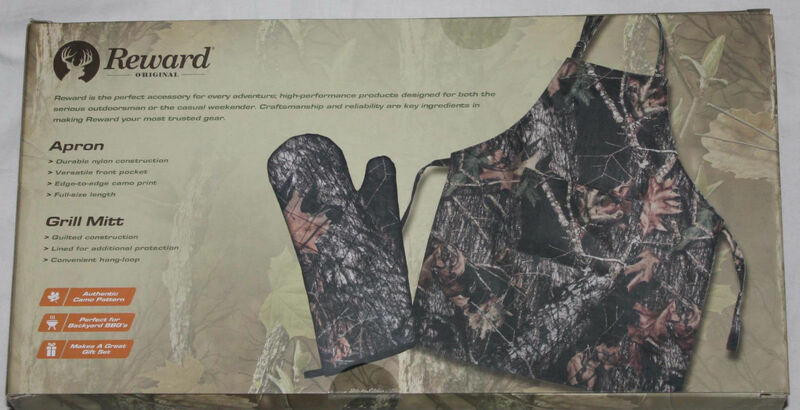 Grill Mitt Details: Quilted construction. Lined for additional protection. Convenient hang-loop.